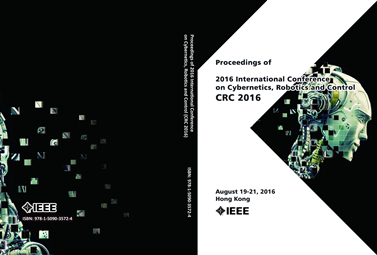 Proceedings of CRC 2017 has been indexed by Ei and Scopus! The 4th International Conference on Control, Robotics and Cybernetics will be held inTokyo, Japan on September 27-30, 2019. CRC is an annual conference launched by several committee members in 2016, and the idea of the conference is providing a platform for scientists, scholars, and engineers from all over the world to present ongoing researches , and to foster research relations between the Universities and the Industry. It has been held succefully in Hong Kong, Chengdu, China and Penang, Malaysia in the past three years. The programme of CRC 2019 will include keynote speeches, peer-reviewed paper presentations, and cultural & social program. The accepted papers will be collected in CRC 2019 conference Proceedings. Upon acceptance into IEEE Xplore, the papers are submitted for indexing through EI Compendex, ISI Thomson's Scientific and Technical Proceedings, ISTP/ISI Proceedings, and Scopus etc. Welcome Prof. Toshio Fukuda join in the conference and to deliver a keynote speech. Welcome Prof. Li Youfu join in the conference and to deliver a keynote speech.